Following the sudden dismissal of Canada’s ambassador to China, a man who once held that job called on the government to immediately appoint a special high-level envoy to deal with Beijing while it searches for a new, permanent representative. Following the sudden dismissal of Canada's ambassador to China, a man who once held that job called on the government to immediately appoint a special high-level envoy to deal with Beijing while it searches for a new, permanent representative. As it may take some time to find a new ambassador, appointing a high-level envoy would send the right signal to China — that Canada is serious about trying to end the ongoing diplomatic dispute — said Guy Saint-Jacques, who was posted in Beijing until 2016. Canada has been embroiled in diplomatic discord with China since the detention of Meng Wanzhou, a top Huawei executive, in Vancouver on Dec. 1 at the request of the U.S. China subsequently detained two Canadians, Michael Kovrig and Michael Spavor, without just cause, according to the Canadian government. "It would be important for the prime minister to consider to send a high-level envoy, tasked with trying to resolve the issue, or at least lower the temperature with the Chinese," Saint-Jacques said. "I think we're at a stage where we need a good face-to-face dialogue." The former ambassador said this could be done by Foreign Affairs Minister Chrystia Freeland or the prime minister's National Security Adviser Greta Bossenmaier. Another high-ranking official could be named to listen and explain Canada's position directly, Saint-Jacques said. Margaret McCuaig Johnson, a distinguished fellow at the Asia Pacific Foundation of Canada, agrees. "Perhaps the prime minister would do well to have a special envoy like [former prime minister] Jean Chrétien to be sent over to China to just focus on the detainees," she said. Most recently, Prime Minister Justin Trudeau's government appointed former Liberal leader Bob Rae as a special envoy to Myanmar to make recommendations on the best way to offer humanitarian support to the region. Saint-Jacques' comments come after John McCallum was dismissed from his posting as ambassador to Beijing over the weekend after the former Liberal cabinet minister reiterated controversial comments about the extradition of Meng Wanzhou. McCallum had already apologized for suggesting earlier in the week that Meng had a strong case to make against her extradition to the United States. Similar comments made again on Friday seemed to leave the prime minister with little choice but to remove McCallum, given the mixed messages being sent to the Chinese about the government's official position. Saint-Jacques said there are many qualified people who could fill McCallum's role, but it could take until this spring to get them into position. "I think we have people who would be at the right level, who have very good Mandarin skills, good experience." Chinese Foreign Ministry spokesperson Geng Shuang said at a daily news briefing in Beijing on Monday that the McCallum matter "is an internal affair for Canada. China will not comment." The spokesperson's comments were brief, but a former Chinese government official said Beijing likely will interpret McCallum's dismissal as a further misstep by the Trudeau government. 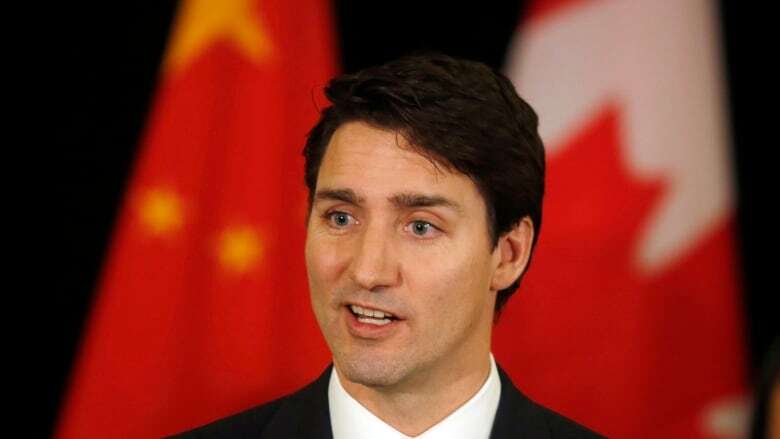 "This sends a very negative signal, this sends a signal of chaos in Ottawa, and this also revealed the inner thinking of PM Trudeau … and this is not reflecting well," said Victor Gao, vice president of the Center for China and Globalization, a think-tank. "It seems the Canadian government is at the end of its wits and does not know which route will lead to a positive result." Freeland told reporters in Ottawa today that McCallum has a long and distinguished career as an academic and member of Parliament but had to be removed because of his comments. "Ambassador McCallum's comments were inconsistent with the position of the government of Canada," she said. "The first and foremost job of any ambassador of our country is to express accurately our government's position. And that is what made it untenable for ambassador McCallum to remain in his role." For now, Deputy Head of Mission in China Jim Nickel will be Canada's point man in Beijing, although it's unlikely he will be appointed ambassador. Due to tensions with China and the fate of two Canadians hanging in the balance, Saint-Jacques said, there is precedent for a former ambassador to be asked to return to the country on an interim basis. When asked whether he would be interested in the job, Saint-Jacques said he is pretty sure the Chinese wouldn't want him back. "They know where I stand," he said.